Who started the CUMBRIA RESILIENCE PROJECT and why? We are a grassroots project catching the vision of Dr Nadine Burke Harris's ACEs movement. This all started when the founding member of our group watched Dr Nadine Burke Harris give her now famous TED-TALK in September 2014. 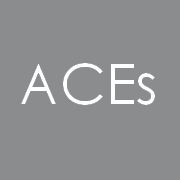 As the science and research of ACEs was explained he had a light-bulb moment, realising he scored 10 on the ACEs questionnaire. Everything Dr Nadine Burke Harris said brought understanding and an overwhelming feeling of relief. He had finally found something that made some sense of his own life journey. Since that day he has been determined to spread the word and knowledge about ACEs and has instigated the launch of the CUMBRIA RESILIENCE PROJECT. We feel strongly that what is happening in USA, Scotland, N. Ireland, and some regions in England and Wales, needs to happen here in Cumbria and we are determined to help push the project on to success with help and support from people like you. We would like to encourage you to join us. The founding member of our group is a Core Participant in the Independent Inquiry into CSA and a 10-ACEs survivor.